One way that Samsung is trying to position its new flagships — the Galaxy S7 and Galaxy S7 edge — is as the mobile gamer's smartphones of choice. Of course, the phones' hardware prowess and beautiful displays are often placed front and center when it comes to marketing, but Sammy also took its time to develop a special "Game Launcher" app, which allows users to optimize their experience — twiddle with detail settings, disable interrupting notifications, or even record themselves while playing. Now, Samsung has also introduced a "Game pack" for the new Galaxies through its Galaxy Apps store. 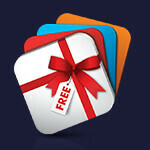 The pack contains 16 freemium games and offer the owners of Sammy's new flagships a free bonus to get them started. For example, anyone who runs Hearthstone on a Galaxy S7 will get 3 card packs for free. If you download Badland – you get its multiplayer mode for free, as opposed to having to unlock it as an in-app purchase. We do wish to note that downloading the games from Google's Play Store will still grant you the bonuses, as long as you are using the Galaxy S7 or Galaxy S7 edge. Do note that if you used a Galaxy S6 to claim the Hearthstone card pack bonus last year, you won't be able to get a new bonus with the Galaxy S7 – at least it didn't work for us at the office. The Galaxy Game Pack exists in the Galaxy Apps store to make it easier for you to find the games that have bonuses waiting for you, but you don't have to download them from it. Check the picture below for a full list of the games and offered bonuses! wish they also provide some non-game apps for those who don't play games. Where's the list for them...? Open up "Galaxy Apps" and you will see what free apps Samsung offers with your model of the phone. You can also use the Galaxy Essential widget which will also take you to the apps Samsung has given free with a device, from their software dev partners. I find game tuner a lot more useful as there are more settings with the graphics and frame rate. e.g. lower resolution with 60 fps. Why are there only 3 settings for game launcher!?!? Isn't that why phones come with power cords? Curious ... does any other OEM offer bonuses in freemium apps or games?